We’re located across the United States. Let us provide you with a local dumpster rental. Click the link below to look at the wide variety of sizes we offer our customers for their local dumpster rental. You’ll want to find the right size when you’re looking for a dumpster rental near me. When renting a roll off there are different sizes for different types of jobs. We suggest ordering a size larger than what you think you need. It is cheaper to rent a larger dumpster than necessary, than to order two dumpsters. Not sure what size bin to go with? No worries. We are here to help. 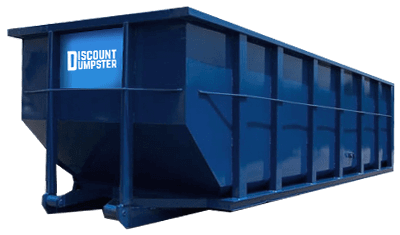 Click on the link below to see how we provide the lowest flat rate pricing for your local dumpster rental. When you’re looking for a dumpster rental near me, you’ll want to be sure you’ve found the right price. When you rent a dumpster pricing depends on multiple different factors. These include size, weight limit, location, and duration of rental. Due to these factors the best way to get an accurate quote is to call our office. We will give you a real time quote over the phone.